New Delhi: India’s railways minister has been mocked for sharing a video of the country’s first locally-built fast train — using footage that had been sped up to twice its normal speed. Piyush Goyal posted the video of the Vande Bharat Express on his official Twitter and Facebook accounts on Sunday. But the video was doctored, according to an investigation by AltNews.in, an Indian website that has made a speciality of debunking false news stories and social media rumours. A member of a “train spotters” Facebook page wrote under Goyal’s post that the video appeared to be footage he had taken in December, with its speed doubled. The Vande Bharat Express, India’s fastest train, will make its maiden voyage with passengers on Friday. It travels from Delhi to the holy city of Varanasi. Before it was revealed to have been altered, Goyal’s post had been retweeted by prominent members of the ruling Bharatiya Janata Party and was reported as a news by Republic, a generally pro-government news channel. 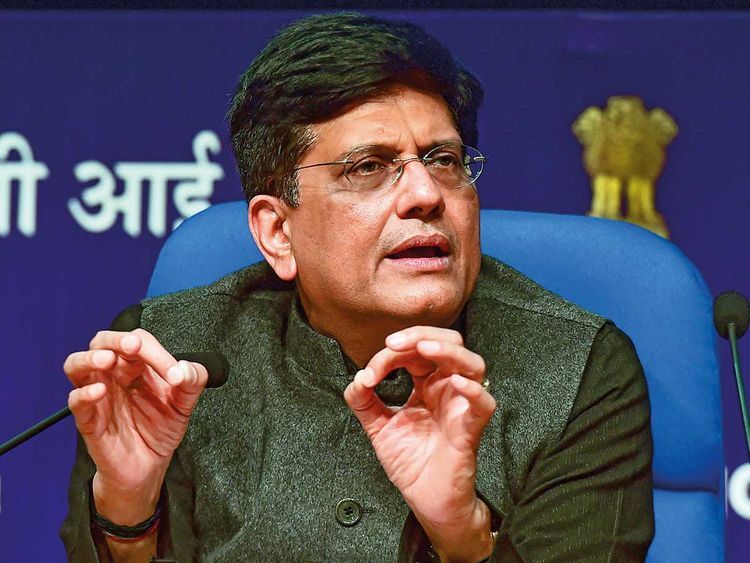 Goyal is regarded as one of prime minister Narendra Modi’s highest performing ministers and oversaw the first phase of the government’s ambitious plans to generate 227 gigawatts of renewable energy by 2020. But he has been less impressive at posting on social media. In August 2017 he shared a picture of a highway lit up by a row of LED street lights, boasting of the government’s success in illuminating Indian roads. The picture was of a Russian street, it soon emerged. In June of the same year, he posted a picture of a coal mine alongside a message promoting the government’s scaling down of foreign coal imports. But the image was taken from an Amnesty International report condemning the government’s mining policy — research Goyal had criticised as “completely baseless”. He deleted the tweet.